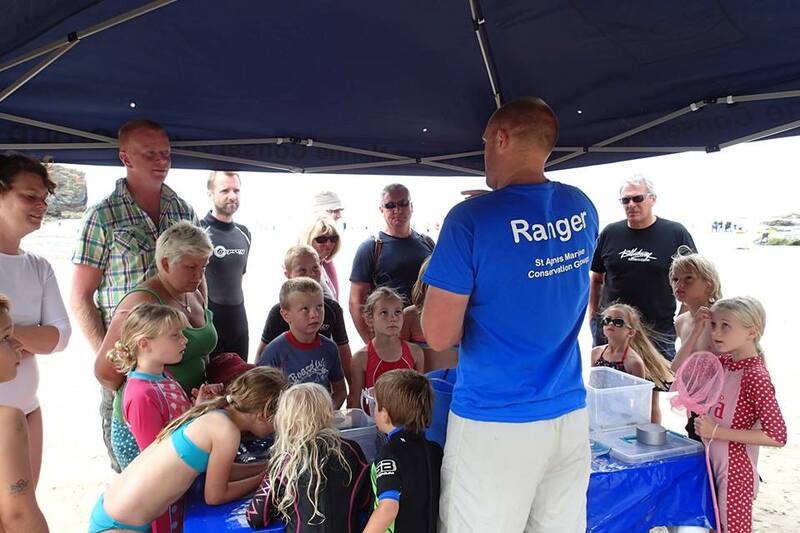 The Beach Ranger Project is a team of volunteer Rangers who deliver marine information and educate the public about marine conservation at one of Cornwall’s most biodiverse coves – Trevaunance Cove St Agnes home of St Agnes Voluntary Marine Conservation Area. The project is run by the Head Ranger managing a team of Rangers to man a small information station on the beach through busy periods between May and September. 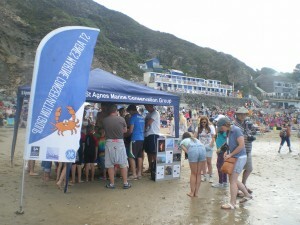 The team provides lots of information about on the seashore code and local marine species and runs fun events to engage people on the beach. So when you see out station on the beach, come over and discover the shore with us on a rockpool ramble, discover what wonders can be found on the strandline and play some fun beach games with us. This years rangers have got off to a flying start with a packed beach on the 27th July during the St Agnes fishing competition. While on the beach the rangers run Rockpool Rambles and other activities, set up a shore lab with shore critters and information about the VMCA and the Marine Conservation Group so come on down and join them on the beach. The beach rangers will be on the beach on every Monday until the end of Spetmber. Keep up to date with when our Beach Rangers are on the beach by following up on Facebook or Contact Us directly.